Morning sightseeing tour of Ljubljana. 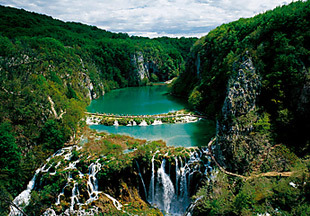 Then travel to the Karst region where your first stop is at the Postojna Cave, one of the largest in Europe. Tour this unique subterranean world by miniature electric train. After the tour travel to a nearby wine producer for teran wine and prosciutto tasting. 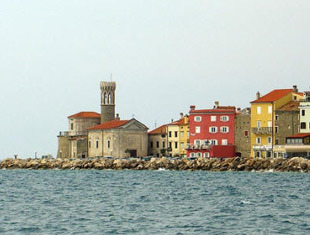 Finally, drive to Piran on the Slovenian coast. Drive along the emerald green Soca River, through Kobarid featured in Hemmingway's A Farewell to Arms and stop to visit of the WWI Museum. Later, continue to Bled, beautifully situated in the Alps. Your evening is at leisure to begin exploring this delightful town. A sightseeing tour shows you the highlights of this charming town on the shores of Lake Bled. You’ll also visit imposing Bled Castle, perched on a cliff high above the lake. We will return to the lake shore and taste the famous Bled cream cake. In the afternoon an excursion to Skofja Loka, a beautiful medieval town with a castle that rises above the confluence of the two Sora Rivers, Poljanska Sora and Selska Sora. After the sightseeing tour visit Nace homestead and taste some of the local products. 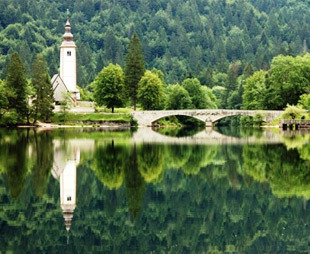 Today tour to the other Alpine beauty, Lake Bohinj, enjoy a relaxing walk along the lake shore and take a cable car to Mt Vogel, from where you can admire the stunning Julian Alps. Before returning to Bled visit the Shepherd’s Museum and taste some of the best Slovenian cheese. Tonight, celebrate a wonderfully scenic vacation with a farewell dinner at favorite restaurant.